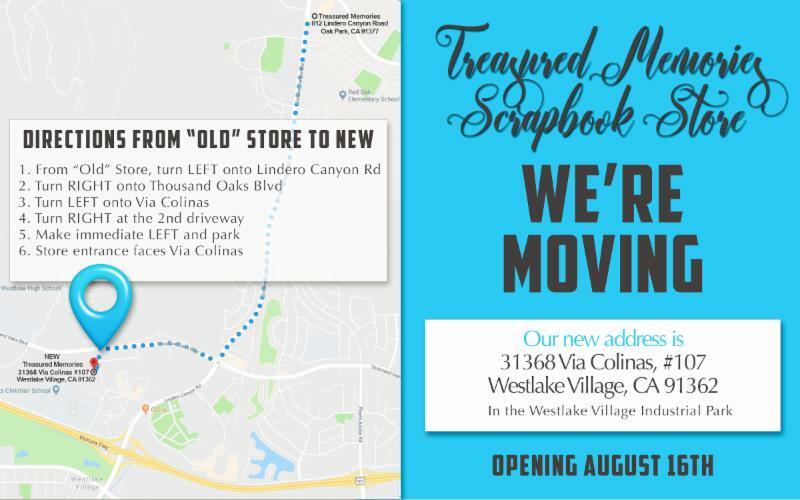 Treasured Memories Scrapbook Store: Grand Re-Opening!!! Hi all! Well we are still working on the new location as we were in Utah for five days for an event. We are still working on the final touches! We are happy with the new location and excited to start our new journey here and have life not be soooo crazy! It is smaller so we are being very creative with our merchandising! We have tons of 12 x 12 paper and other items to get rid of. We also have some 12 x 12 paper racks to sell, so please come on by and check it out!! We will be selling the SALE 12 x12 paper at .20 each!!!! Hope to see you this Friday or over the weekend! ***There are steps in the front, but we do have a rear entrance without steps (call or you can knock on unit #107) and there are ramps and walkways on either end of the parking area that lead to our front entrance. Parking is available in front or the side driveway. *12 x 12 paper for .20 each! * Lots of ribbon and stickers! Note- we also have BRAND new product in!! We will send another email on Friday morning detailing all the new! It is shipping this week! each week. Thursday thru Saturday 10am to 6pm and Sunday from noon to 5pm.